Millsboro Real Estate Delaware Beach Search Results - Real Estate - Rehoboth Beach, Bethany Beach, Dewey Beach, Delaware - Sand Castle Realty. Approved for 142 multi-family units. Central sewer on-site. APPROVAL obtained for 163 single-family lot subdivision. 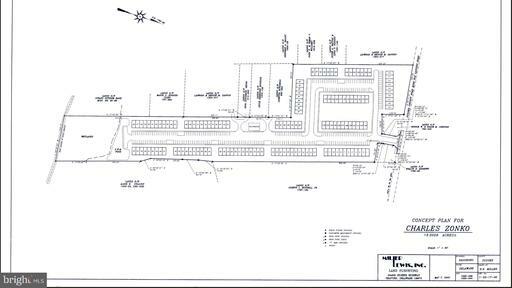 SITE PLAN UPON REQUEST. Property is located across Emily Gut from The Peninsula. This acreage is in the Oak Orchard Sewer District, has Public Water, and is almost all cleared with Waterfront/Water Views on Emily Gut. Farm House is uninhabitable/teardown. RECENTLY APPROVED!!! NEW PRICE!!! GREAT OPPORTUNITY!!! Possible commercial opportunity in thriving business area of Long Neck. 1.96+/- acres at the busy intersection of Rte 24 & Rte 5. Take advantage of this prominent location with maximum visibility on this corner parcel. Currently zoned AR1. Turn key...ONE of a kind Garrison Custom Built Home with breath taking views of the Indian River Bay from almost every room in the house. Move right into this fully designer decorated custom home featuring 4 bedrooms, 4.5 bathrooms, Gourmet kitchen with 2 large Islands, spacious laundry room and pantry, wood floors and more. Every detail is on display for you to see. Make an appointment now, you will not be disappointed. 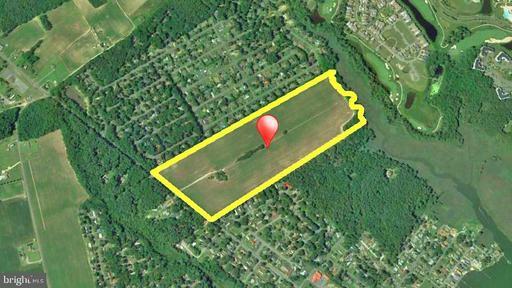 54.46 Acres of prime undeveloped land on Harmons Hill Road (Road 302.) 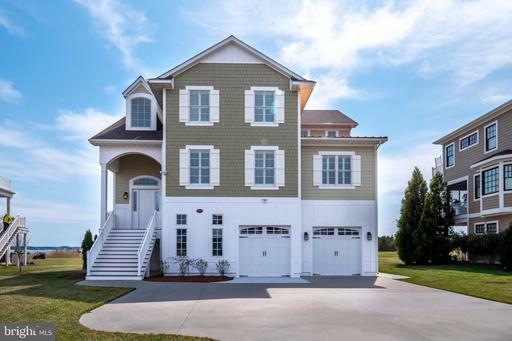 Located in The Cape Henlopen School District directly across from the back side of The Independence Community where homes in the high $300s are being built. Property is priced $46,668 per acre and is being sold As-Is, Water and Sewer Connections are Available.Parcels included in this sale: 234-16.00-25.00 (42.46 Acres), 234-16.00-25.03 (3 Acres), 234-16.00-25.04 (3 Acres), 234-16.00-25.05 (3 Acres), 234-16.00-25.06 (3 Acres). All acreage and frontage measures are approximate. Approximately 13 acres, zoned for multi-family in the Town of Millsboro, water and sewer available, projected plan shows 143 units approximately. Town of Millsboro great to work with. The St. Croix Model fully furnished leaseback in the Sanctuary neighborhood of the Peninsula. 4 br | 3.5bth | Den | Finished 3rd Level Bonus Room. 4,690 heated/AC sq ft - 5,508 sq ft total interior. Exterior includes a courtyard with spa with arbor above, built in BBQ grill, water feature and fireplace on multi-levels. Inside boasts and Epicurean kitchen, luxury owners suite, LR wet bar, elevator and much more - over $400,000 in upgrades and custom finishes. Located on a premium lot with golf, lake, creek, clubhouse and partial bay views. Lease terms: 2 years, extended quarterly at the builder's discretion, $4,000 per month rent to owner. 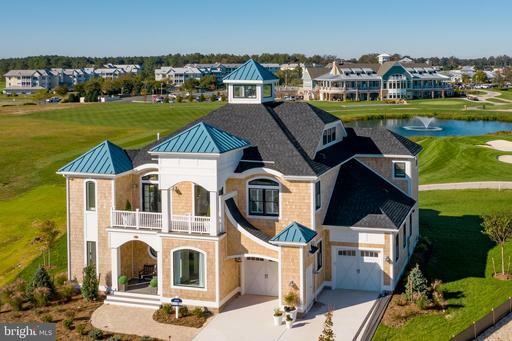 The Peninsula - an 800 acre gated Jack Nicklaus Signature Golf community on the Indian River Bay. The Peninsula offers resort style amenities including a 30,000 sf clubhouse, outdoor adult heated pool, sandy beach wave pool w/ lifeguard, indoor heated pool, state of the art fitness, classes, staffed spa, tennis, basketball, private beach, nature center, fishing pier, miles of trails and Kayak launch. Minutes to Lewes and Rehoboth Beach. Current On site unlicensed salespeople represent the seller only. Nice private oasis with 7 bedrooms, 6 full baths. Detached 5 bay garage with inlaw suite over garage. In law suite includes 2 bedrooms, 1.5 baths, separate entrance and a 1 bay garage. This sale includes the adjacent parcel, tax id #133-15.00-26.00, 32.45 acres of unimproved land. The two parcels together total 64+ acres and are being sold together. Poultry farm on 36+/- acres. 4 fully functional chicken houses along with a 2500sq ft farmhouse numerous outbuildings and 88x60 manure shed and 88' composter. 2 houses are 66x600 and 2 houses 67x560. Farm needs a Letter of Intent from Poultry facility. Poultry operations are inactive.